With a total allocated budget of 19,970,000 EUR, and a two-stage deadine model, the call has as specific challenge to support development of new cross-sectoral industrial value chains across the EU, by building upon the innovation potential of SMEs. Cross-border and cross-sectoral collaboration, innovation and entrepreneurship across different regions and value chains shall be promoted. The coordination and facilitation shall be led by cluster organisations and other intermediary organisations, by following a systemic approach that combines different resources, tools and instruments. Innovation actors, especially SMEs with mutually reinforcing competences, shall be supported in view of creating new industrial value chains that foster the development of emerging industries in Europe. validate ideas for structured innovation projects driven by SMEs from different sectors and countries in collaboration with other innovation actors and facilitate the coordination towards new industrial value chains through this collaboration space. support innovation activities and/or channel a mix of different targeted entrepreneurial and innovation support measures (such as mentoring, coaching, innovation and technical assistance vouchers, etc.) directly to the innovation actors of the validated innovation projects to further support their development, integration and large-scale demonstration in a strategic manner. At least 75% of the total proposed budget shall be allocated to support innovation in SMEs directly, whereby the SMEs benefit by either participating in the consortium or by receiving financial and/or other support as a third party (enterprise) in line with the conditions set out in General Annex K of the work programme. Background information and guidance on the systemic approach and strategic focus to be envisaged is provided to applicants at the EU Cluster Portal and in the background note being part of this call. Synergies will be sought with other measures that are supporting such large-scale demonstration projects, in particular under the European Structural and Investment Funds (ESI Funds) and COSME. This includes the thematic Smart Specialisation Platforms- notably the one on Industrial Modernisation, European Strategic Cluster Partnerships, the European Cluster Collaboration Platform and the European Observatory for Clusters and Industrial Change as well as partnerships under the pilot action for interregional partnerships for innovative projects. These synergies will be actively encouraged in the applicants' project partnership building and project implementation, notably through the engaged SME intermediaries. “Large-scale” does not necessarily refer to the amount of financial support provided for a particular project but to the extent of the roll-out of a staged process of experimentation and implementation with accompanying support that reaches out to groups of mutually reinforcing SMEs. This approach aims at “demonstrating at large scale” the potential impact of innovative solutions to specific challenges, rather than supporting isolated projects or SMEs. For the first stage of the submission procedure, applicants should provide a concept note (of max. 10 pages), which should include a clear description of the ideas and objectives for an innovation action towards the development of new industrial value chains as well as an explanation of the main activities, implementation modalities (including for financial support to third parties, if applicable, and how to achieve the target of allocating at least 75% of the total proposed budget to support innovation in SMEs directly) and expected results foreseen (please refer to the grant conditions for this topic). 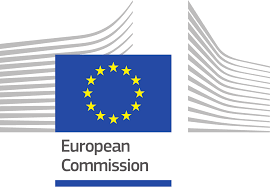 The concept note should further describe how the proposed systemic approach and strategic focus promises significant impact on economic growth and job; demonstrates a European dimension and added value; and has the potential to act as a catalyst by contributing to and/or leveraging other activities supported, for instance, under the European Structural and Investment Funds, e.g. in the context of smart specialisation strategies. An estimate of the total costs of the proposed action and contribution to be requested from the Commission shall also be provided. Only proposals that pass the evaluation threshold for the first stage will be invited to a second stage of submission for a full proposal with a detailed description of the budget and activities planned to be undertaken. The Commission considers that proposals requesting a contribution from the EU of between EUR 2.5 and 5 million would allow this specific challenge to be addressed appropriately. Nonetheless, this does not preclude submission and selection of proposals requesting other amounts. Please find more details on the Scope, Expected Impact, eligibility criteria and support documents here.